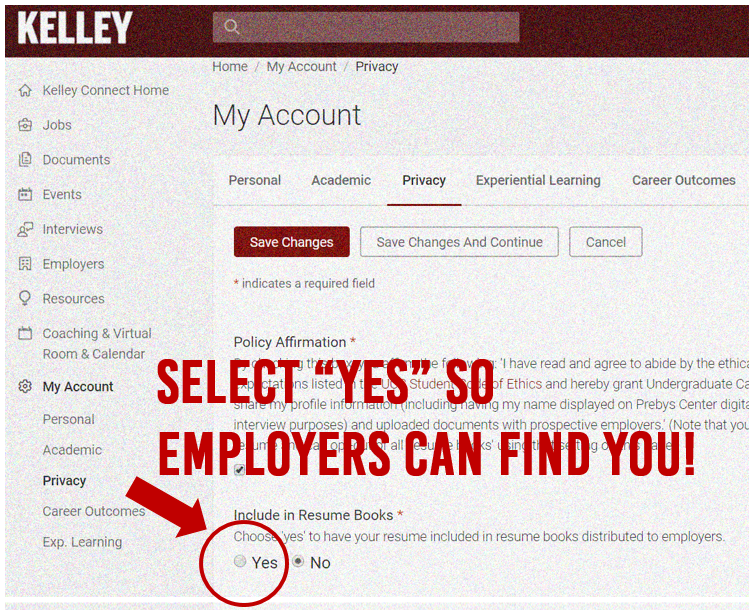 Select “YES” to Resume Books! If you do not have a resume uploaded in Kelley Connect, please do this IMMEDIATELY so you can interview on campus. If you don’t need to interview because you’ve already secured a job (or 2019 internship), please follow this link to report the details. Drop by our office in the Prebys Career Services Center if you need any help!